A layout inspired by magazines. Ideal for inspiration blogs, photography, art, interior, graphic design and fashion. Mocha is a a modern, clean and professionally crafted Blogger template that has all it takes for professional photographers or hobbyists alike. 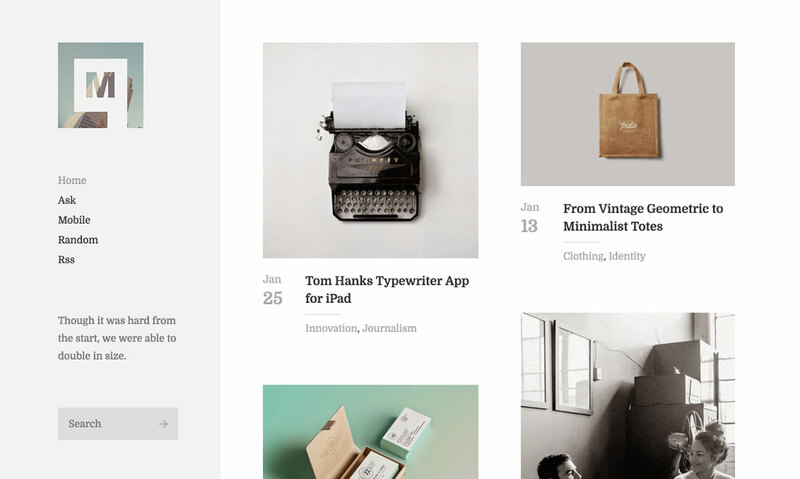 It creates an enticing visual summary of your projects or photos with a dynamic grid-style homepage. Whether your showcasing portfolio or writing a visual-based journal, Mocha will fit perfectly. From responsive layout to fully Mobile Template support, Mocha will adapt to any screen besides delivering great readability. Mocha is entirely responsive, means your content will scale to fit any screen size, from desktops to mobile phones. Change layout; 2, 3, or keep it default. You can even re-adjust its width. All can be done through the Theme Designer. Backgrounds and scripts used to create Mocha are included in a separate folder. Making backup easier.